"Smart, thorough, experienced, easy to talk to, and patient." "Dr. Faraz is one of the most friendly, down to earth, likable doctor you can find." "She's very straight forward, funny and loving. She makes you feel like family." "I LOVE Dr. Faraz!! She is so down to earth and personable." "Her and her whole staff are amazing! Dr. Faraz makes you feel very comfortable." Dr. Patricia Faraz-Eslami is an OB/GYN and Medical Aesthetics Specialist who serves patients at Pacific Women's Center in Ladera Ranch, CA. Dr. Faraz is a board certified physician and a fellow of American Congress of Obstetricians and Gynecologists. She earned her medical degree from University of Illinois School of Medicine in Chicago. She completed her internship and residency at Saint Joseph’s Hospital in Chicago. She has also trained extensively in medical aesthetics procedures and techniques for injectables and dermal fillers as well as aesthetics laser treatments. Dr. Faraz is one of the first physicians in Orange County to perform non-invasive permanent fat reduction, lipolysis procedure using SculpSure. She is also the first physician in Orange County, CA to offer Lumenis FemTouch vaginal rejuvenation treatment, significantly improving the vaginal health of her post-partum patients as well as patients with menopausal or stress urinary incontinence issues. Pacific Women’s Center is Dr. Faraz’s intimate solo private practice. Her OB/GYN practice is focused on personal attention and care for each patient. Dr. Faraz believes that every woman should be well and healthy and very importantly, feel good about herself. 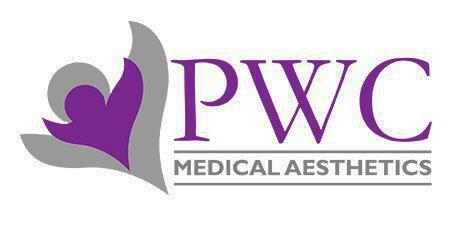 Therefore, she caters to women’s OB/GYN health as well as medical aesthetics. She specializes her OB/GYN practice to general and high-risk obstetrics care and delivery as well as routine gynecologic exams and hormonal management of post-menopausal women, gynecological procedures such as endometrial ablations and laparoscopic hysterectomies. Dr. Faraz is an excellent surgeon and a proponent of minimally-invasive surgical techniques for the treatment of gynecological disorders. Dr. Faraz has established her practice in Ladera Ranch, CA in 2004 and has been offering medical aesthetics treatments since 2006. We accept all PPO plans and are contracted with the following HMO plans: Mission Hospital Affiliated Physicians (MHAP), Monarch Healthcare, and Regal Medical Group (GYN Services only). Please verify your network participation for your HMO provider by calling our office. "This is my first pregnancy and I can say that I am extremely pleased with how Dr. Faraz and her office have handled all of my pre-natal care." "Dr. Faraz has been my OBGYN for several years and she recently delivered my first baby. I can't say enough, what a great experience I had with her as my doctor." "There's not a more competent, more trustworthy OBGYN in Orange County. She's the best!" "I felt very confident with her decisions and care. She is a very caring and upbeat doctor with a very great personality." Dr. Faraz does an amazing job with my Botox. I'm so happy with the results I've seen since I started going to PWC. I'm a patient for life!" "Through the years my skin has not only cleared up but I look better than ever. Debe & Dr. Faraz make you feel very comfortable." "I couldn't have been more happy with my results. The doctor was very patient with explaining everything to me can't wait to go back for my vampire facial!" "She is empathetic, and makes you feel like family. Not only have I gone to her as a gynecology patient, I am thrilled that I get to have her do my laser treatments too." "Best Doctor ever! She cares about her patients so much and she feels more like a friend than a doctor! She takes her own calls and never rushes you!" "Debe did a Zo 3 step stimulation peel for me and I have been amazed each day how good my skin looks. I will definitely be going back to her." "Dr. Faraz is extremely knowledgeable, kind and always makes you feel at ease. I was so nervous, she made me feel like we were a team and I had nothing to worry about."